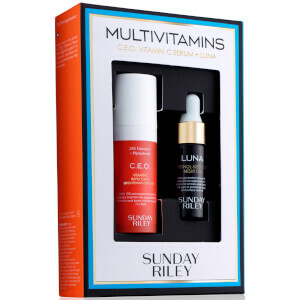 Sunday Riley isn't just the brand founder, she's the brand formulator. Each product reflects her belief that in order for results to count, they have to be visible, appreciable and fast. The targeted treatments are designed to visibly improve the quality of your skin, including the signs of aging, dryness, oiliness, acne, dehydration, and the appearance of pores and spots. 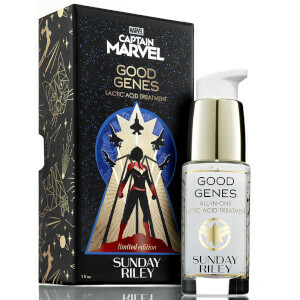 Having developed a high-tech "now and later" benefits, each carefully crafted formula not only has instant results but provides long term payoff to give you healthy, young looking skin. 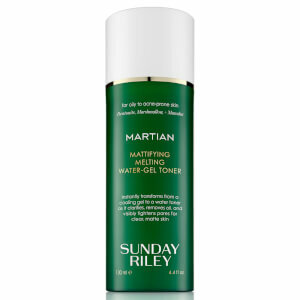 Powered by science and balanced by botanicals Sunday Riley gives the skin an immediate transformation with proven, measurable, results that can be seen instantly. 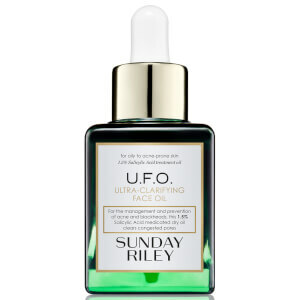 A union between cutting edge chemistry founded upon a base of pure, potent botanicals Sunday Riley provides effect skincare earning the brand a cult following. 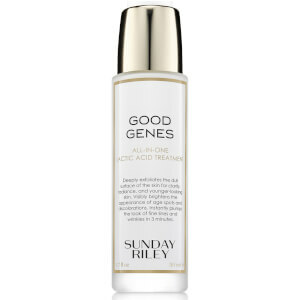 Gwyneth Paltrow, Victoria Beckham and Freida Pinto make up just a few of Sunday Riley’s celebrity fan base. 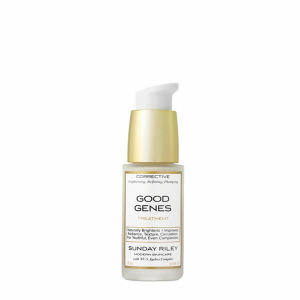 Suitable to use as a daily serum or as needed for an immediate transformation Sunday Riley Good Genes Treatment gives you that unmistakable look of having ‘good genes.’ This pharmaceutical grade treatment works as an instant complexion booster, the lactic-acid based serum plumps fine lines and exfoliates the skin to reveal brighter and fresher skin. 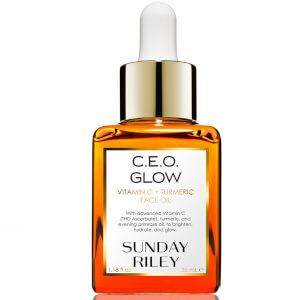 Sunday Riley harnessed botanical from her Native North America to create her patented NV-5 Ageless Complex. 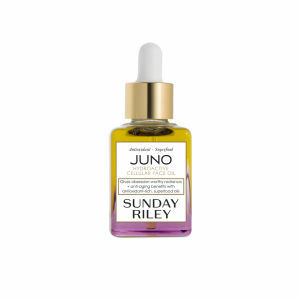 Made of five traditional skin care ingredients including cactus pear, blue agave and lady’s slipper orchid Sunday Riley’s hi-tech processes maximise their transformative properties to give you brighter, firmer and younger looking skin. 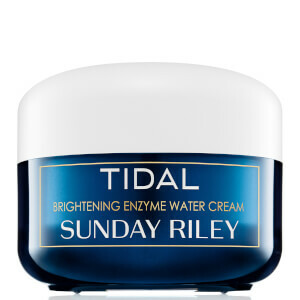 This indulgent skin-soothing and nourishing balm removes makeup and impurities by using a gentle, sugar-based cleanser to leave your skin clean, comfortable, calmed and glowing. 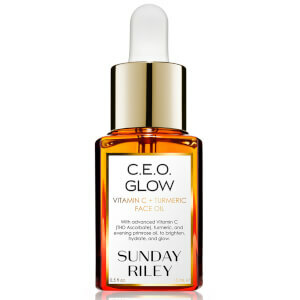 A cult favorite this product contains a rich blend of essential oils. Blue Tansy and German Chamomile calm irritated, dry and flaky skin while tangerine improves tone and clarity. 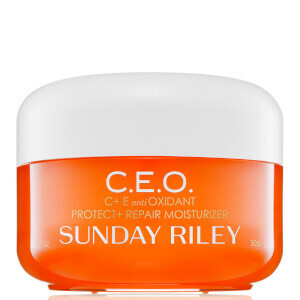 Use this melting cleansing balm for a tranquil, pure and healthy cleansing experience. 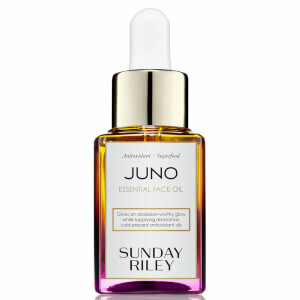 The Licorice reduces hyperpigmentation while Lemongrass increases circulation to give your skin immediate radiance. Long term benefits include restoration of damaged skin, reduced hyperpigmentation and scars and a reduction in depth and number of wrinkles and lines giving you an evened out skin tone and increased firmness. 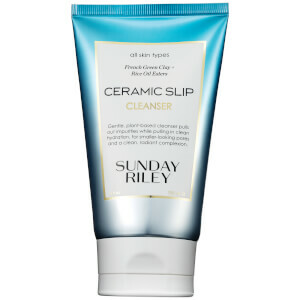 Why not try with the Sunday Riley Charisma Crème or Ceramic Slip Cleanser and use a as a mask for an intense radiance boost.